On Friday 15 March 2019 cand.scient. Jorne Biccler will defend his PhD with the title: “Statistical and machine learning methods for the dynamic prediction of prognosis in haematological malignancies”. To all our collaborators and friends! Lasse Hjort Jakobsen and Jorne Biccler are attending ASH in December with an oral presentation. 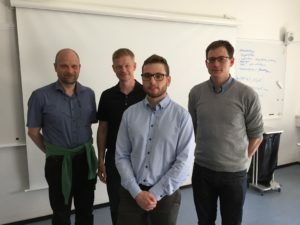 On Friday 28 September 2018 MSc in Statistics, Lasse Hjort Jakobsen, defended his PhD with the title: “Analysis of relative survival patterns in cancer register data”. 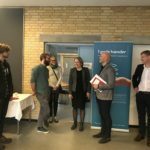 A PhD course with the title ” Cancer Research – from basic science to bedside” was held on 23-25 May 2018 at Aalborg University Hospital, Forskningens Hus. It is with great sadness that we have learned that our Professor Hans E. Johnsen passed away unexpectedly on Thursday – only days after his 70th birthday last Sunday. 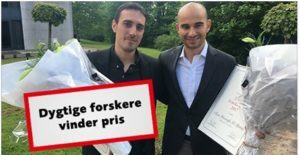 Tarec C. el-Galaly received his doctoral letter on stage along with a lithograph by artist Allan Nordmark. On Friday 5 January 2018 specialist in oral and maxillofacial surgery , Mette Marcussen, defended her PhD with the title: “Cancer Therapy induced mocositis, Molecular characteristics influencing presence and severity of mucositis during cancer therapy”. 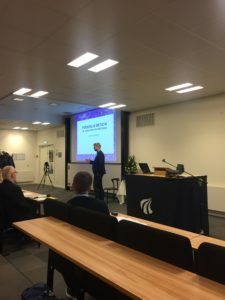 Martin Bøgsted made a presentation for the New Year’s Reception 2018 at Aalborg University (Nytårskur 2018). 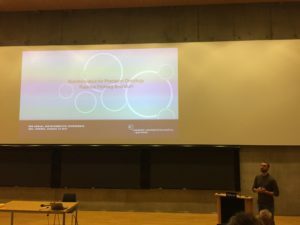 Rasmus Froberg Brøndum gave one of the key note talks Bioinformatics for Precision Oncology” at “the 3rd Annual Danish Bioinformatics Conference 2017 in Odense. 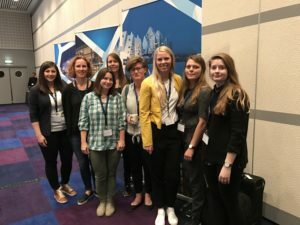 PhD student Jorne Biccler attended the 14th edition of the International Conference on Malignant Lymphoma which took place from 14 – 17 June 2017 in Lugano, Switzerland. This year there was a large focus on immunotherapy. 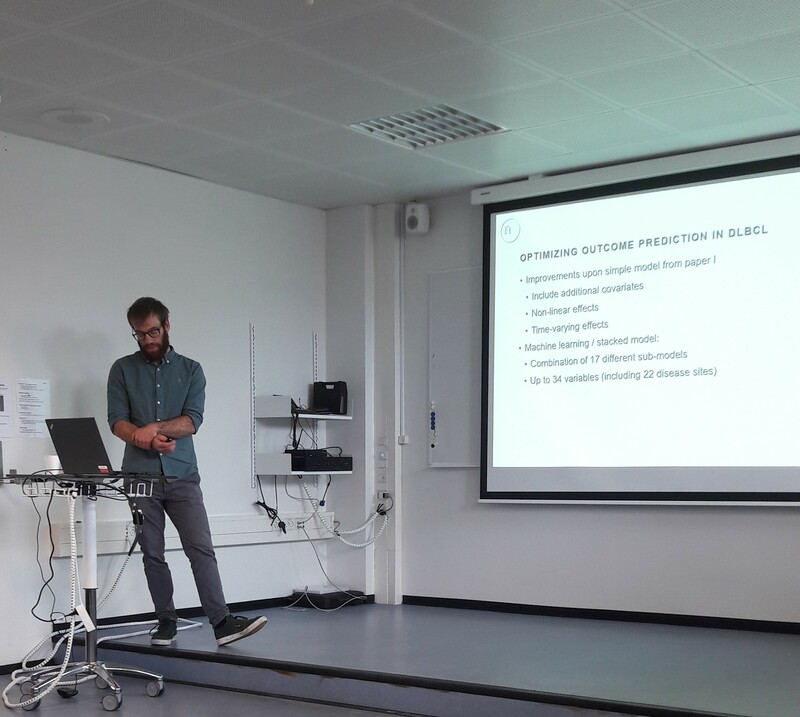 On 20 June 2017 Thomas Yssing Michaelsen, Master of Science (MSc) in Biology, Department of Haematology, defended his master thesis with the title “A differentiation dependent classification of diffuse large B-cell lymphomas by the NanoString technology”. Senior bioinformatician Mads Sønderkær attended the Translational Bioinformatics Conference 2017 on 12-13 June 2017 at the Wellcome Genome Campus in Hinxton, UK. The meeting highlighted recent advances in the tools and techniques that are facilitating translational research and precision medicine. Mads presented his work on development of diagnostic classification of haematological B-cell malignancies. 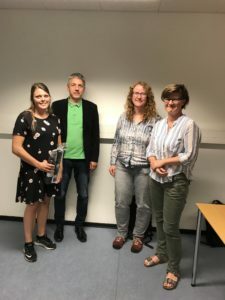 On 14 June 2017 Ditte Starberg Jespersen, Master of Science in Chemistry and Bioscience, Department of Haematology, defended her master thesis with the title “Detection and investigation of alternative RNA splicing in Diffuse Large B-cell Lymphoma”. Julie Støve Bødker has completed the Leadership 0 course and has been certified in “situationsbestemt ledelse”. 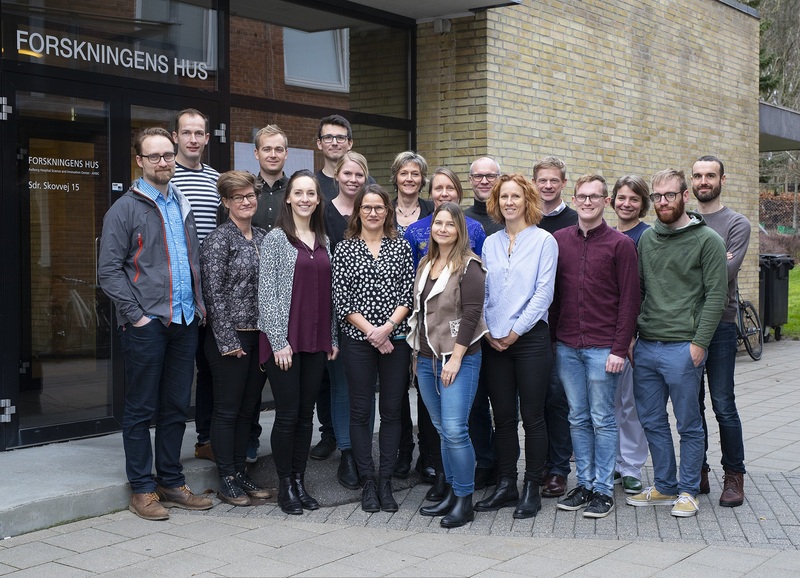 Many colleagues from our department participated in the 2nd Nordic Meeting on Tumor Microenvironment in Lymphoma which took place in Aarhus on 18-19 May 2017. On 21 April 2017, Tarec Christoffer El-Galaly defended his doctoral thesis “Staging and Disease Surveillance in Hodgkin and Non-Hodgkin Lymphoma” and passed with flying colours. The doctoral defence will take place at 1 o’clock p.m. at the Auditorium, Medicinerhuset, Aalborg University Hospital, followed by a reception hosted by Aalborg University. See some press clippings citing professor Martin Bøgsted regarding personalized medicine. 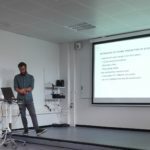 Rasmus Froberg Brøndum, Anna Amanda Schönherz, and Martin Bøgsted were invited to the Department of Molecular Biology and Genetics at Aarhus University, Foulum, to give a talk about their work in cancer subclassification. 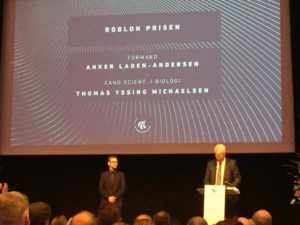 Professor Martin Bøgsted and professor Hans Johnsen gave a presentation at the conference held by De Lægevidenskabelige Selskaber on 29 November 2016 at Christiansborg, the agenda being Danish personalized medicine. 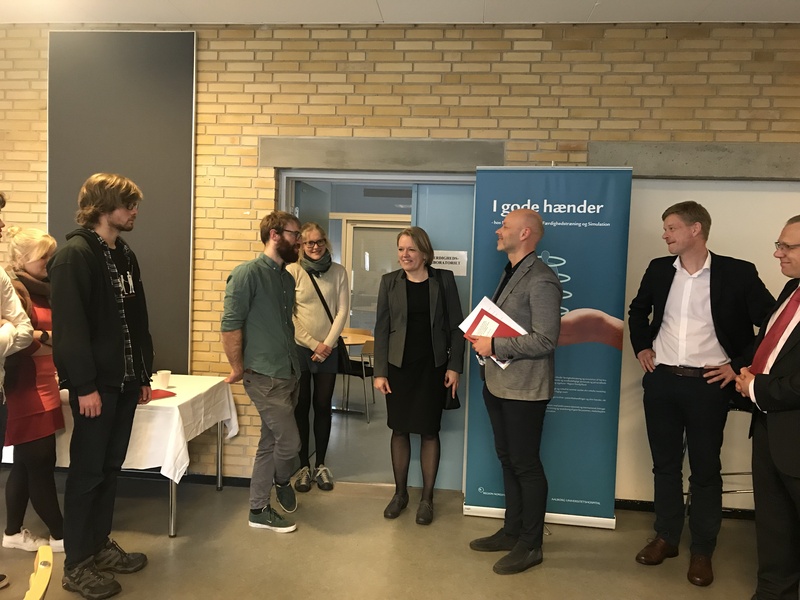 Professor Karen Dybkær has received a grant from Svend Andersen Fonden for DKK 1,000,000 for the project “Genetiske determinanters betydning for behandlingsresistens i specifikke molekylære undertyper af diffus storcellet B-celle lymfom (DLBCL”. Laboratory for Medical Mass Spectrometry holds a seminar on Medical Bioinformatics. At the seminar Martin Bøgsted and Rasmus Froberg Brøndum will be giving a lecture on personalized medicine. LVS, Organisationen af Lægevidenskabelige Selskaber, holds a seminar on personalized medicine. At the seminar Martin Bøgsted will be giving a lecture on handling of the data complexitiy in personalized medicine. A PhD course with the title ” How to analyze and interpret large datasets from emerging -omics based technologies in a clinical setting” was held on 24-27 October 2016. For further information about the Doctoral School in Medicine, Biomedical Science and Technology at Aalborg University, please use this link. 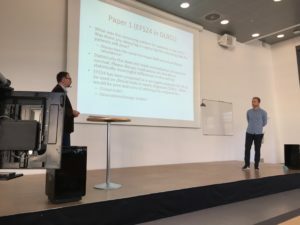 Rasmus Froberg Brøndum and Martin Bøgsted participated in the NSAS kick of meeting in Odense. The picture shows Rasmus presenting the requirements for a precision medicine application. Caroline Holm Nørgaard is one of the five Danish medical students who have spent a year abroad in the world’s leading technology Mecca to do research and to learn how to combine the medical education with business. at the MASCC/ISOO Annual Meeting on Supportive Care in Cancer on 23-25 June 2016 in Adelaide, Australia. On Friday 17 June 2016, master in Biomedical Sciences, Hanne Due Rasmussen, Department of Haematology, defended her master thesis with the title “Vincristine response in Diffuse Large B-cell Lymphoma”. 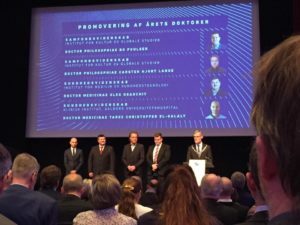 The defence took place at the Auditorium, Forskningens Hus. Senior bioinformatician Rasmus Brøndum participated in the course “Variant Analysis with GATK” on 16 and 17 June 2016. The Genome Analysis Tool Kit (GATK) is a suite of tools developed by the Broad Institute of Harvard and MIT, and is widely used for processing DNA and RNA-seq data. Lectures were given by trainers from the Broad Institute, and took place at the CSC – IT Center for Science, Helsinki Finland. Hanne Due Rasmussen, Lasse Hjort Jakobsen, Julie Støve Bødker, Karen Dybkær and Hans Johnsen partidipated in the EHA meeting in Copenhagen. On Tuesday 7 June 2016, master in Biomedical Sciences, Liesbeth Bieghs, Department of Haematology, defended her PhD thesis with the title: “The IGF system in multiple myeloma: exploring diagnostic and therapeutic potential”. The defence took place at Aarhus University. Liesbeht’s PhD degree is a result of a cooperation between Aarhus University / Aalborg University and Vrije University, Brussels, Belgium. 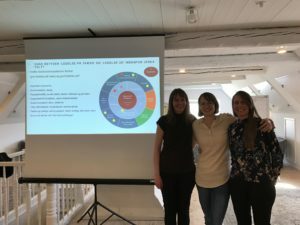 Photo: Liesbeth Bieghs, senior researcher Julie Støve Bødker, associate professor Mette Nyegaard (supervisor from Aalborg University) and professor Karen Dybkær. The photo shows Anna Schönherz next to the poster explaining what NEXT bioinformatics is all about. On 26 and 27 April 2016 Mette Dahl Bendtsen, Anna Schönherz, Karen Dybkær, Hans Erik Johnsen, Lasse Hjort Jakobsen, Rasmus Froberg Brøndum and Martin Bøgsted participated in the 1st European Conference on Translational Bioinformatics. At the conference there were lectures by some of the world’s leading experts in translating bioinformatics and systems biology for clinical use. The conference was very inspiring and emphasized the potential of the relapse project. At the conference, we presented 3 posters concerning the relapse project, NEXT bioinformatics and hemaclass.org. 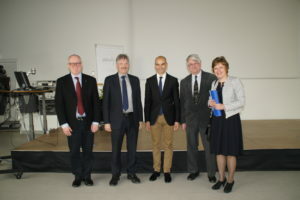 On 15 March 2016 Professor Karen Dybkær, Consultant Haematologist Tarec El-Galaly, and Professor Martin Bøgsted visited Professor Dr. Wolfram Klapper, University of Kiel. The purpose of the visit was to discuss a possible collaboration. It was a very fruitful meeting, and a number of specific projects were planned. Besides the scientific meeting, they also saw the teaching archive of lymphoma cases collected by Karl Lennart, who was the father of the famous Kiel Classification for Lymphoma, from which the B-cell associated gene signature classifier from our group has its origin. Haematologist, Rie Sander Bech participated in an EHA Master Class video. The EHA Classical Master Class is a seven-month online group learning experience for hematologists approaching the end of their training. During the course, mentees are expected to solve complex and challenging cases presented by, and under the guidance of experts. Get introduced to the EHA Master Class and learn more about our Mentors and Mentees and their experiences. Watch the EUA Master Class video here. On 10 March 2016, our Health Minister Sophie Løhde visited Aalborg University Hospital. 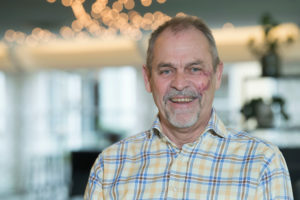 Professor Hans E Johnsen offered an insight into focused individual treatment of patients with cancer relapse – one of the hospital’s spearhead functions. Professor MSO Martin Bøgsted has received a grant from Lundbeckfonden for DKK 24,009 to cover his stay at Stanford University School of Medicine from 28 January – 6 February 2016. Tarec Christoffer El-Galay, consultant haematologist, has given an interview to the magazine Dagens Medicin concerning “check-up scans of patients with lymphoma. Martin Bøgsted, Professor MSO, has given an interview to the magazine Ingeniøren concerning “Personlig medicin”. 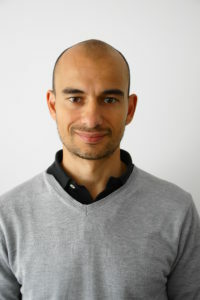 Martin Bøgsted, Professor MSO, is going to Stanford at the end of January 2016. The purpose of the visit is to study the heterogeneity of CLL, but also to establish further collaboration on mutual ideas on the cellular origin of cancer. Furthermore, Martin will be giving a talk at Stanford about his current research in developing methods for identifying the cellular origin of cancer. 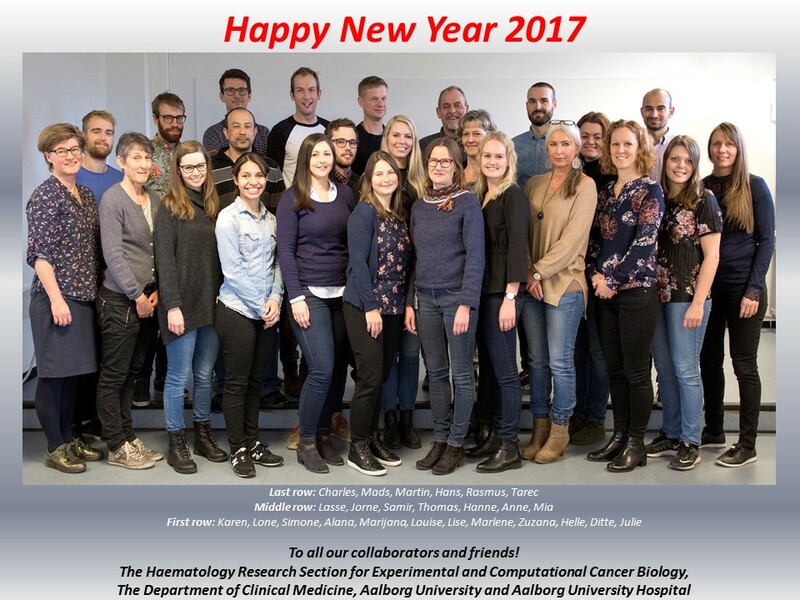 Senior researcher Julie Støve Bødker and flow cytometry core manager Alexander Schmitz have received a grant from Det Obelske Familefond for DKK 1,910,000 for the project “ProGene: Prospective gene analysis of clonal heterogeneity in relapsed B-cell malignancies”.